Two Storey Extension, Preston CapesA double storey extension to a Grade II Listed property situated within a Conservation area. Substantial excavation was required to provide a stone and thatch construction with cellar to compliment the existing property. Internally, an oak and cherry hand-crafted staircase was designed and constructed giving access to a beautiful room with a vaulted ceiling. The cellar area also incorporates a bathroom. Click for more photographs. Single Storey Extension, NewnhamA single storey extension to provide an additional reception room to a Georgian Home. This extension has been constructed with materials to match and compliment the original property. This extension comprises of a reclaimed red brick structure with Welsh slate roof and timber Georgian bar windows. In addition to the extension, excavation has been undertaken to the side of the original building and a new set of external brick steps constructed to provide access to the existing basement at the property, with iron railings to top. 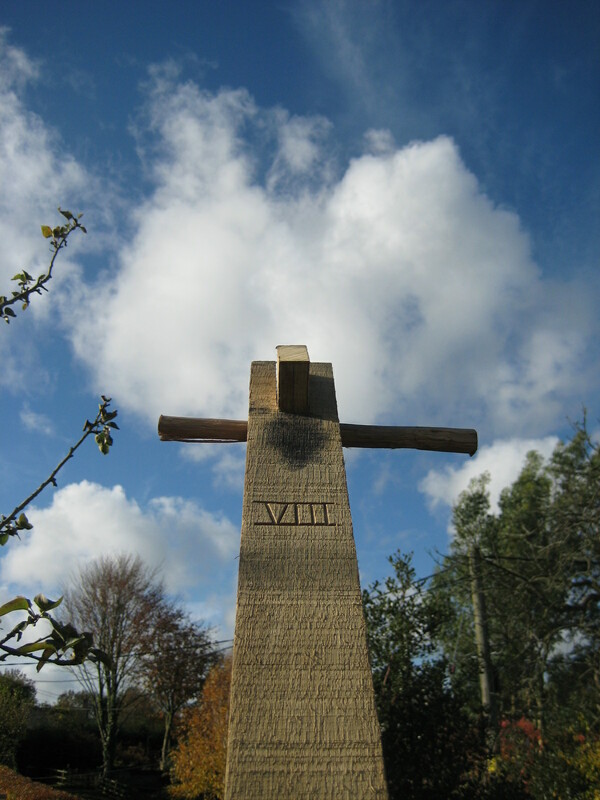 The externals have been complimented with additional landscaping improvements. Click for more photographs. Barn Conversion, Ravensthorpe, NorthamptonshireThe purpose of this barn conversion was to retain and preserve the existing building whilst also creating a new dwelling. With some years of neglect, this cow barn was in desperate need of major structural works. Once these works were completed, the aim was to create a spacious, light internal space incorporating a traditional feel using the buildings original features, whilst introducing a modern twist. Click for more photographs. Chapel of Rest, Everdon, NorthamptonshireFormerly a Chapel of Rest, this property had been empty in excess of 50 years and was in need of major works. The rear stone wall was completely removed and re-built using a lime mortar mix and the original stone. The tin roof was removed to reveal the original roof timbers. Although these timbers were inadequate to support a new roof cover, they were retained as a feature in the property, and subsequently a second roof was cut and tiled. Internally, a first floor was added, and working with very tight dimensions, a new internal layout was created with a spacious feel. Click for more photographs. 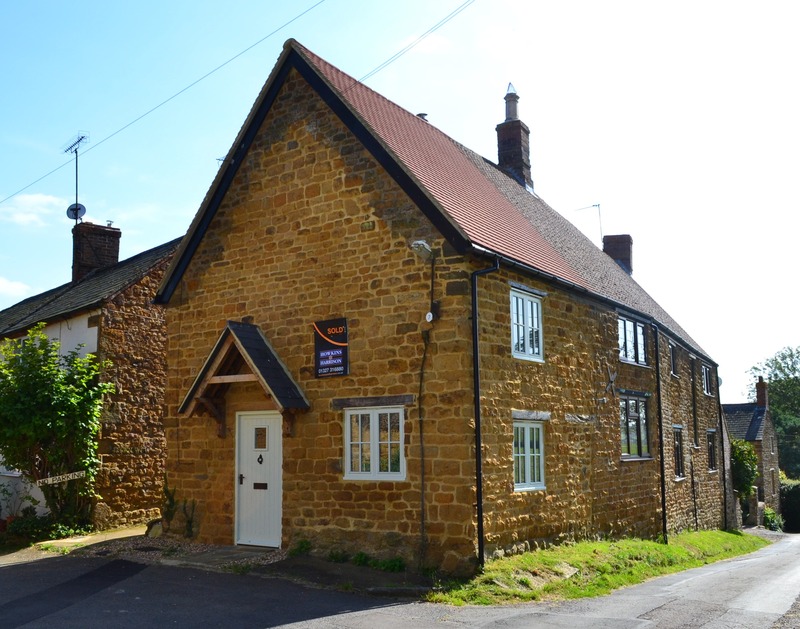 Double Storey Extension, Drayton, DaventryThe demolition of an existing single storey kitchen extension and the construction of a double storey stone extension with kitchen to the ground floor and master bedroom with en-suite to the first floor. 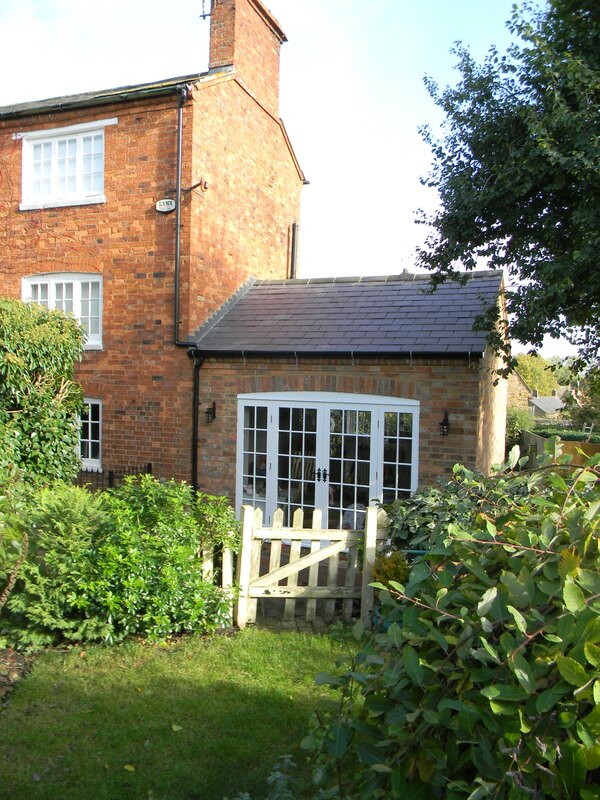 Internal alterations to include removal of the existing gable end to create a large kitchen and form a new hall way. 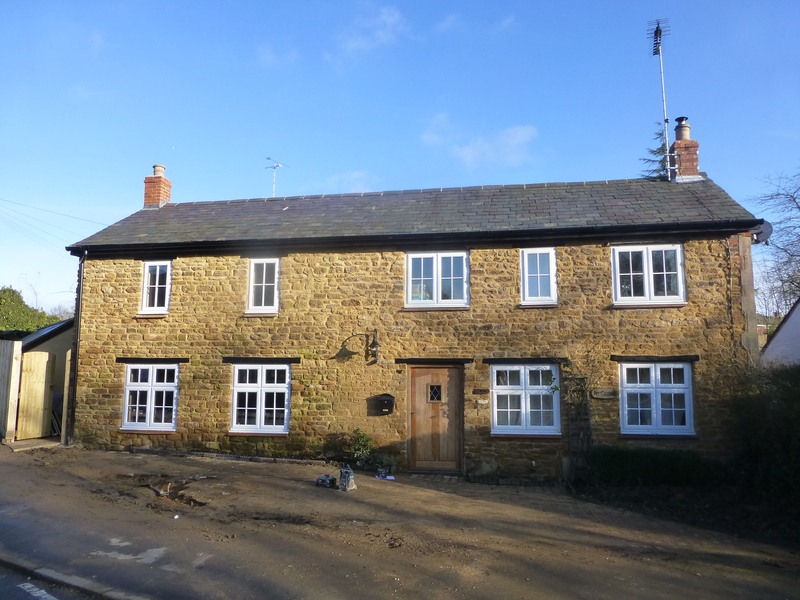 The external alterations were to match the existing in Northamptonshire stone with Welsh slate roof. In addition, a single storey workshop was constructed to the side of the property. 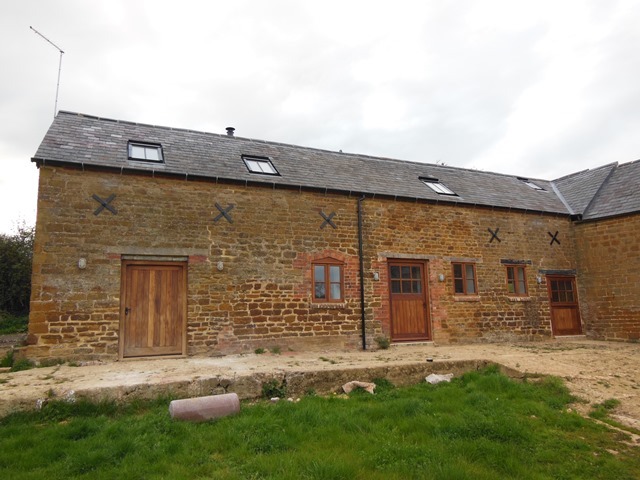 Barn Conversion, RavensthorpeThe conversion of a Northamptonshire stone barn into a large two bedroom dwelling, part of an ongoing courtyard development. Major structural works both to the walls and roof, retaining the existing first floor ‘A’ frame trusses. Highlights are the bespoke oak staircase, stone floors, restored Douglas Fir ‘A’ frames and the handmade vanity unit to the en-suite bathroom. 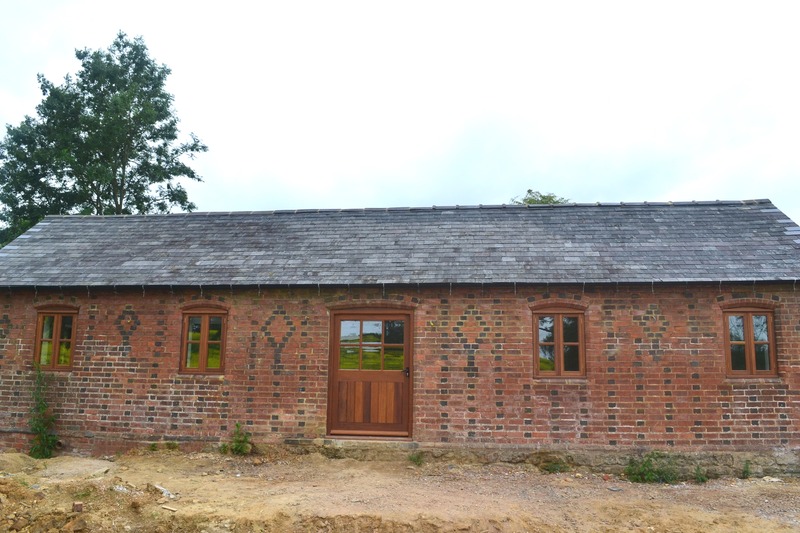 Butterworth Cox Building Contractors are a trusted local building company offering a full range of residential building services, as well as providing specialist services for period homes. Having built a strong reputation with local people, our Company prides itself on exceptional customer service along with unrivaled quality of craftsmanship. Through our highly trained and motivated workforce, we offer our customers a high standard of service with excellent communication at every stage of the project. We are also proud members of the Federation of Master Builders and have achieved the status of a Master Bond Member. This enables us to offer an insurance backed warranty on all works we carry out.